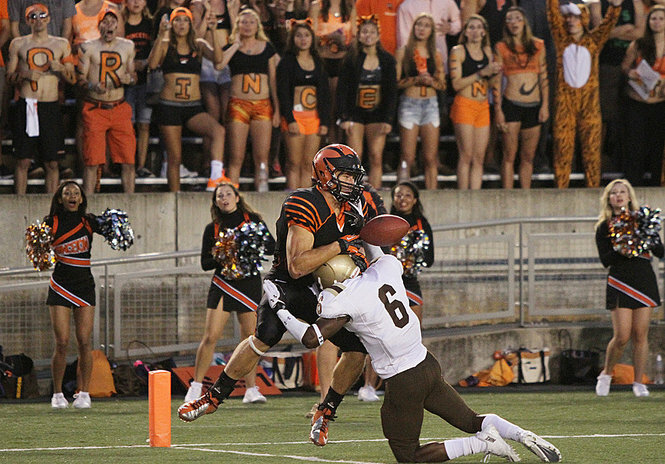 The term being bandied about the season in regards to the 2013 Mountain Hawks was the “Cardiac Kids”. 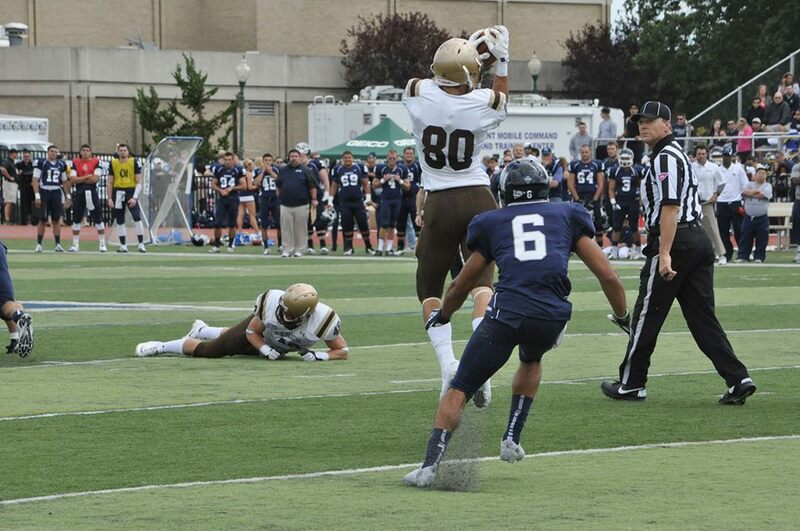 Every week, the Mountain Hawks would fall behind. Every week, there would be hiccups, issues, and heart-stopping moments, but most often would end up in Lehigh victories. 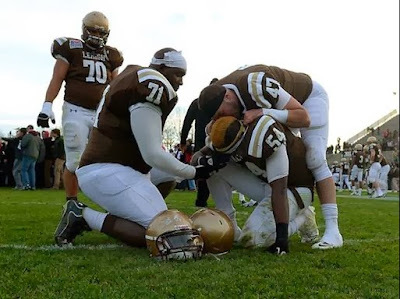 Most fans wondered: Could it be possible, would it be possible, for Lehigh to put the pedal to the metal against an opponent, to surge to a huge lead, go for he jugular early, and never look back? 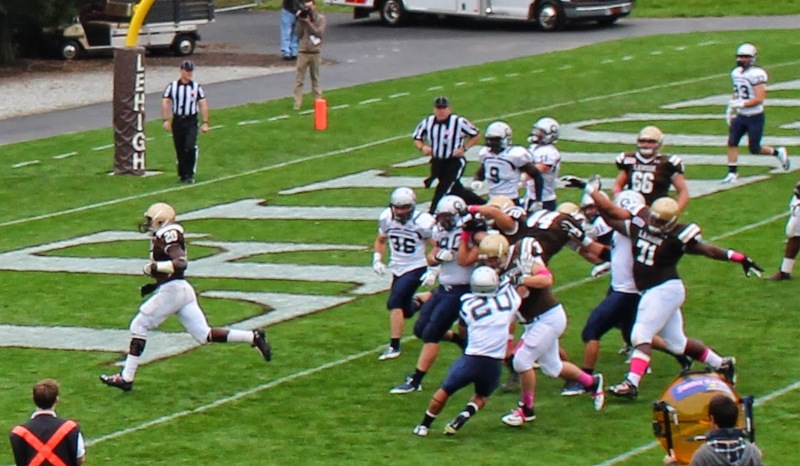 This Saturday, the Mountain Hawks answered. Lehigh scored the most points they’d scored in the first half since 2002, scoring on seven of their eight drives of the first half and narrowly missing the eighth. They’d cruise to a 38-3 halftime lead before the second stringers would make the final score look a lot closer. In short, it was exactly what most of the 9,866 fans in attendance were looking for in the first Patriot League conference game of the season. Never trailing. Making the game’s outcome not be in doubt early. Winning. “I’d never seen it,” head coach Andy Coen said, adding a “whew” for good measure. He was referring to a very strange play this Saturday, a play that happened in Lehigh’s favor that felt like the decisive play of the game. Down 25-21, and senior P Tim Divers readying to punt, speedy Monmouth CB Tevrin Brandon blocked his punt – the ball deflecting almost straight up, then falling back down to earth behind the line of scrimmage, where alert senior FB Zach Hayden kept calm, grabbed the ball out of the air, and started to go for the first down marker. He did more than get enough yards for the first down. He rumbled 37 yards, thus turning the momentum of the game completely on its head. Two plays later, senior QB Brandon Bialkowski hit senior WR Lee Kurfis with a 40 yard dagger to make the score 28-25. It would be a death blow from which Monmouth wouldn’t recover. Preseason training camp is just around the corner for Lehigh, and it’s a mere 36 days until the Mountain Hawks’ season opener vs. Central Connecticut State. At no. 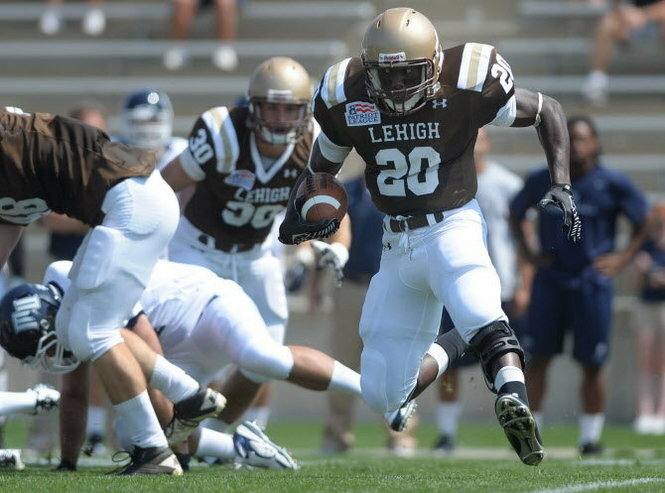 42, we find senior FB Zach Hayden as our highlighted Lehigh football athlete in today’s countdown.